Who starts the season well? The Wiz presents some epic numbers. Hey again DT world, The Wiz is back again for the 2018 #AFLFantasy season. It’s usually around this point in the year where my love for DT takes over, and all my time is taken up by research, study and endless cups of coffee. My biggest task this year personally is to back myself in more, and try and take my own advice. I nailed a few calls last year about breakout players such as; Lloyd, Kelly, Billings, Blakely, Heeney and Oliver, yet I still end up looking like a mug not breaking the top 5000. I guess what I am trying to say is that my advice is usually solid, yet my actions are sometimes flakey and impulsive, which needs to change this year. The purpose for this article you’re (hopefully) about to read is to show that past stats can be relevant for future prediction, and I guess stats are all we have to make such hypothesis. When choosing your Fantasy team, you need a core group of players that we call “premo’s“ known as superior players that are the building blocks for your team. Whilst selecting these players you need to take many things into account, and a big factor when picking a premo is their price and how you can afford to fit them into your team. These tables and stats you will read, provide you with relevant and recent data that will assist you in making an educated decision, and could provide you with evidence to select a cheaper player over the more expensive one. However, the wonderful world of DT means that all these stats will probably mean nothing when the player you choose is a late withdrawal and you cop a doughnut RD 1. So take these stats with a grain of salt! If anyone takes anything useful out of this article then my job is done! I wish everyone to have a fantastic #AFLFantasy year and if you have any questions or queries about anything – follow me on twitter: @TheWizDT. The tables and statistics can seem a little full on when having a quick glance at each of the teams. I want to make it become a little clearer before you read them! The rows run left to right, and correlate with a players previous 3 scores verse that opponent (seen as an average) / what they have averaged at that ground they’re playing (in the last 2 years). EXAMPLE: In the Adelaide Crows table, you see that their first game is against Essendon @ Etihad. If you look at Sloane’s Row – his numbers show 123 / 85, meaning that he averages 123 points in his last 3 games against Essendon but only averages 85 when he plays at Etihad. If you now look along the row Sloane’s next fixture is seen as RD 2: RICH @ AO. You can see Sloane averages 113 in his last 3 games verse Richmond and averages 116 at Adelaide Oval. Obviously, you want to see two scores above or around 100, as these are the players who love to play against that team, and love playing at that particular ground. EXAMPLE: In all BUT one row/column: Coniglio shows triple figures. His price of 663K means that potentially he could come out of the blocks and prove his priced average of 95 is well under to start the year, and this is where these tables become relevant. Lastly: the end column shows the average of each players first 5 games of the season, based over the last two years, to keep it relevant. This shows which premium options have been fast starters and which premiums take a little while to get going. JPK is a classic example. In the last two years, he averages just 94 to start the year, yet his average (usually) is above or around 105. You will notice that not all highest priced “premium “options/players stats are available. An example of this is the non-inclusion of Billings, Heeney, Blakely etc… as they haven’t got enough previous stats or data to be worth including. That’s not to say they aren’t good picks though. TOP 5 Fastest Starters in the last 2 years based off their first 5 games average. Collingwood play 4 out of their first 5 games at the MCG. This is a place where Pendles, Treloar and Adams all have averaged 108 or more in the last two seasons. The pies are the best team in the competition (from an AFL Fantasy perspective), so get your pies whilst they’re hot! Essendon leave Melbourne only once in the first 5 games. Merrett is the standout pick here as he has raised the bat (100+) 22 times out of a possible 32 games in Melbourne within the past 2 years. This includes 18 times he has gone 115+ and overall Zerrett averages a whopping 113 in the sporting capital of Australia. The Dons only trip is in RD 2, where they travel West to face Fremantle. The last 3 times Merrett has come up against the men in purple he has had the ball on a string. His scores are as follows: 144, 124, 121. Lock. Hawthorn don’t leave Melbourne AT ALL in the first 5 games, the first 4 will be played at the MCG and RD 5 will be played at ES. 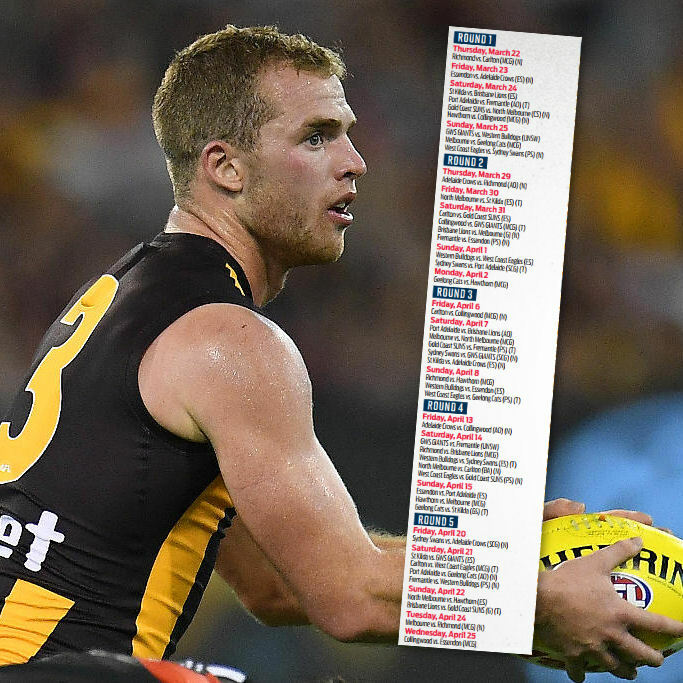 Is Tom Mitchell expensive? Yup. Is he worth every dollar? YUP! In Titch’s first season wearing the brown and gold he averaged 130 at the MCG and 132 at ES in 2017. Hawthorn’s first game is against the Pies – In Mitchell’s last 4 games against Collingwood he has recorded scores of 138, 132, 177 and 135. If you don’t start with him – you WILL be left behind. Melbourne also play 4 out of their first 5 games at the MCG. Max Gawn is the pick here based on price (605K) and with the opening fixtures the Dees have, big MAX averages at least 105 when versing 4/5 of those starting teams. 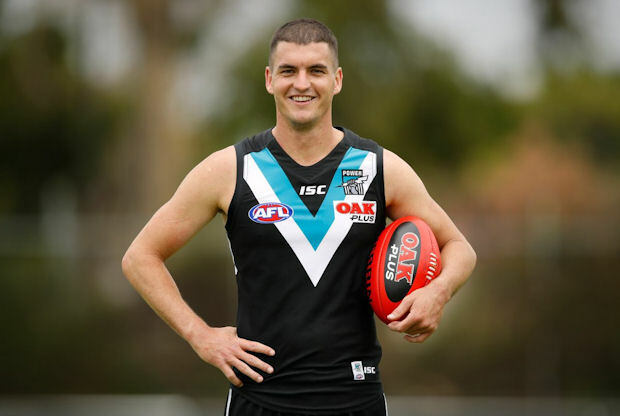 Tom Rockliff: Don’t think about it, JUST PICK HIM. When he isn’t injured, Rocky is a no brainer. Currently priced at an average of 103, he is potentially 30 under what he can produce. Obviously, I’m not going to be naïve and say that there aren’t doubts over the Pig, with a new team there comes uncertainties about role and team cohesion, as well as the never ending questions about Rocky’s body – but his first 2 games come up against teams that he loves to play. Rd 1: His last 4 scores against FREM (95, 142, 154, 172) & RD 2: His last 4 scores against SYD (167, 132, 128, 141). Hop on and enjoy the ride. St Kilda play 13 games at ES this year, 4 of them coming in the first 5 rounds. We all know that Jack Steven can put up some serious DT numbers. He has averaged 105 under the roof in the past 2 years, as well as averaging a 107 in his first 5 games of the season in the past 2 years as well. If Jacky bah can get off to a flyer – his price of 661K could rise rapidly and significantly. Sydney’s opening fixtures aren’t the most enticing, but the trio of JPK, Parker & Hannebery’s price is. They are all priced under 98, and they ALL have averaged 108 or more in the past, meaning they are theoretically 10 points under-priced. Surely the swans can’t start as bad this year? Finally: from my perspective, the 650-700K MIDFIELDER price bracket is the one that is most exciting and tempting. All of Cripps, Fyfe, J. Selwood, Hall, Coniglio, Steven and the SYD TRIO have the ability to average close to or above the magical 110 If you can successfully pick 1 or 2 from this group it could enable you to upgrade in other areas. That Pies midfield is scary all being over 100. This might make me go from Matty Crouch to Treloar. This makes me even more confident starting Treloar. Who we picking out of Adams v Treloar? Excellent article Wiz. Obviously you have put a fair amount of time and research into doing this article. Sure to help many of the newbies, well done. I started with M Crouch last season and intended to do the same this year, but now reconsidering that move. Treloar/Neale/Coniglio now being considered. I do have Coniglio in my DT. Excellent article with a lot of study and hard work gone into it, great read. This article confirms that you need players in your initial team who are proven scorers and have done it for more than one season. Pre season will be interesting about the pecking order at each club in the midfield. thinking going from j. kelly to treloar after reading this. thoughts? “Jacky bah”???? Lol never heard that one! Anyway cool article! !